Work has continued apace on my eBay website, and I am learning as I go. One thing I should have known before I started is that new sellers are severely limited in how much they can sell until such time as they build up a ‘good reputation’. I knew that I needed a fair amount of positive feedback before people would have confidence to buy from me, but I hadn’t appreciated that in the meantime, I will be restricted to selling a maximum of only ten items at any one time. This maximum includes ‘sold items’, so if I managed to sell say, 8 items, I could only sell another 2 items until the selling restricted is relaxed. I have also learnt that my account is an eBay dot com account based in Thailand, and my items are be visible on eBay USA, but they will not be visible on eBay UK unless I re-list them again on the UK eBay website. In other words, if I want to sell in the USA and UK, I have to list the same item twice, and both of these listings of an identical item count towards my selling limit of only ten items. So in the initial stages, I am extremely limited in what I can sell and it is clearly going to take several months before I can start to make any money out if this – if at all. Anyway, I am soldiering on, and now have a few items for sale on both eBay.com and on eBay.UK. After Songkran I plan to spend a few days in Nong Khai with Noo and her family and while I am up there I will try to source more Thai products to sell on my website. In the meantime, if any of you feel like helping me in getting my ‘approval ratings’ up and running, please take a look at what I have for sale. Maybe your wife or girlfriend might be interested in a lovely hand made handbag or Thai silk cushion covers? AAAA.... Mobi's African Odyssey - Read all about it! 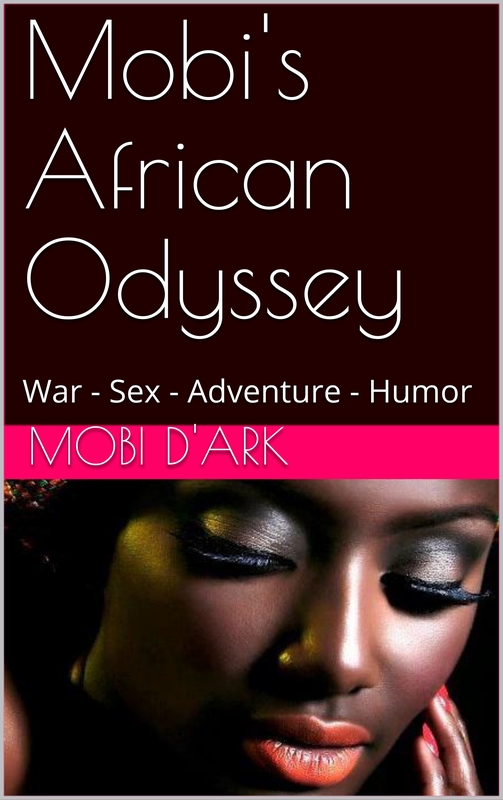 "Mobi's African Odyssey" – It’s a Five Star Review from Boundless Books! The Darkside Blogger; Your Much-Wedded Pattaya Based, Carouser and Alcoholic Whore-Monger is 65 Today. Happy Birthday… Mobi! Song at home on her new blades. Lek's first ever cakes...next up, bake-off!